Is it because I'm so thin? No. Is it because I'm richer than you? I measure my riches in friends and family so... er... no. Is it because I have the new Delicate Cutters album on vinyl? You can see the cool just drip off of me. Plus also too I got to experience the amazing sound of playing a vinyl album for its first time. The first time is always the best because they vinyl begins to degrade after the first play. But it does sound pretty good that first time. My record is signed! By the whole band no less. And let's face it, the cover art is pretty awesome. 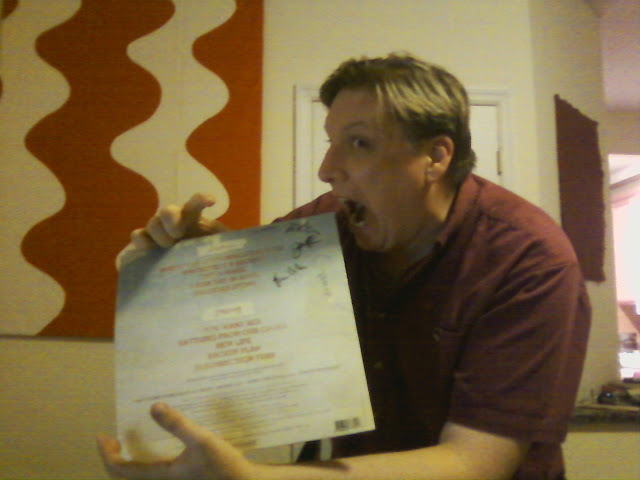 My innate coolness cannot even be defeated when I try to eat the record. I hate to be that guy but boy, 12" vinyl is nice. Big artwork on the cover. 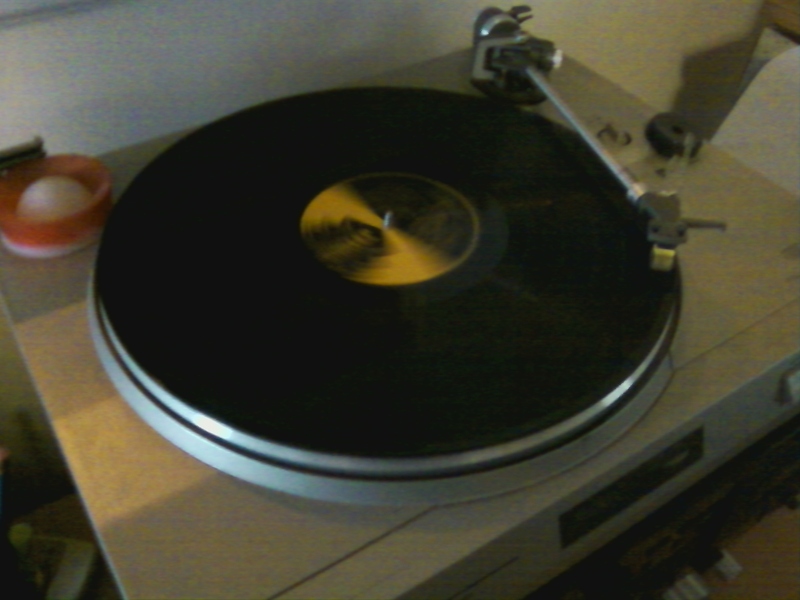 The funny and persnickety way the needle drops down on the record. It's just fun to hold. 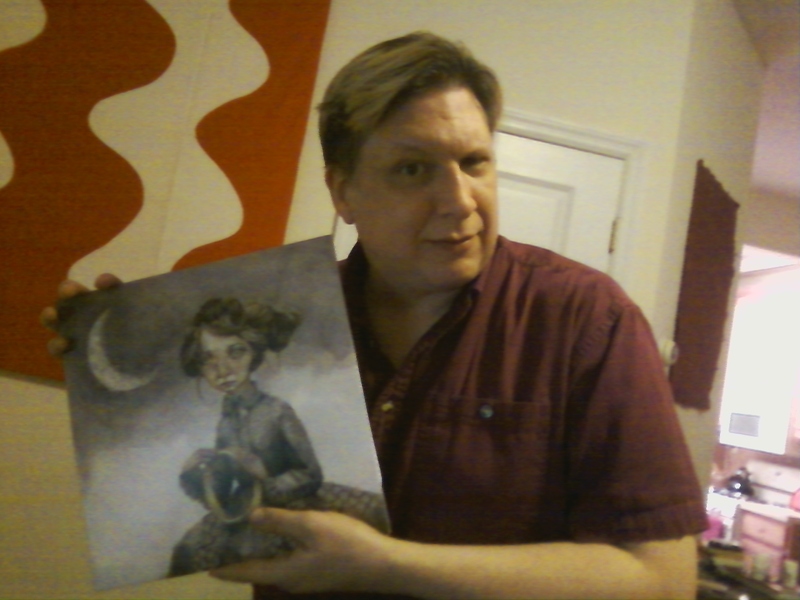 And the vinyl is very heavy too!